Mathew Paine, director of human resources at ICC Sydney, has won accolades for his exceptional work building the ICC HR team from scratch. He sat down with HRDTV to discuss the unique challenges and opportunities facing the HR profession – including the impact of the gig economy on workplaces around the world. 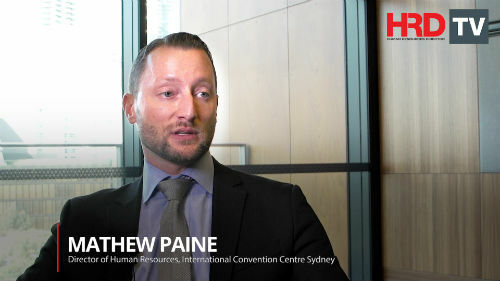 Mathew Paine, director of human resources at ICC Sydney, has won accolades for his exceptional work building the ICC HR team from scratch. He sat down with HRD TV to discuss the unique challenges and opportunities facing the HR profession – including the impact of the gig economy on workplaces around the world. Thanks for checking out HRD Resources. Sign-up here for unlimited access to our member-only content library. Already a member? No problem – log-in here. Great content is just a few clicks away!